Learn these top-five takes on all of the classic potato preparations, like roasting, frying, mashing and more. 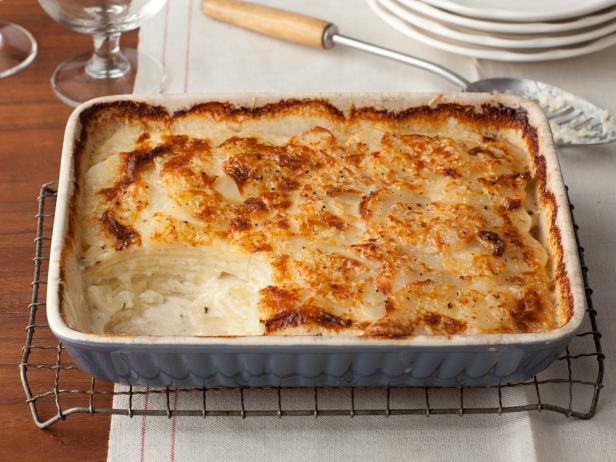 If you're used to saving potatoes for their spots in the side dish line on holidays like Easter (scalloped potatoes, anyone?) and Thanksgiving (mashed, but of course), the time is now to bring them into your weeknight dinner rotation. After all, potatoes are endlessly family friendly, and most can be ready to eat in a hurry, which makes them go-to timesavers when you need just one more item to round out a meal. 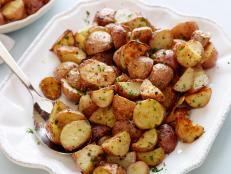 Check out Food Network's top-five recipes for starchy spuds to learn tried-and-true takes on all of the classic potato preparations, like roasting, frying, mashing and more. 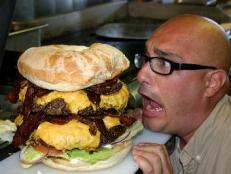 Who says potatoes must remain mere side dishes? 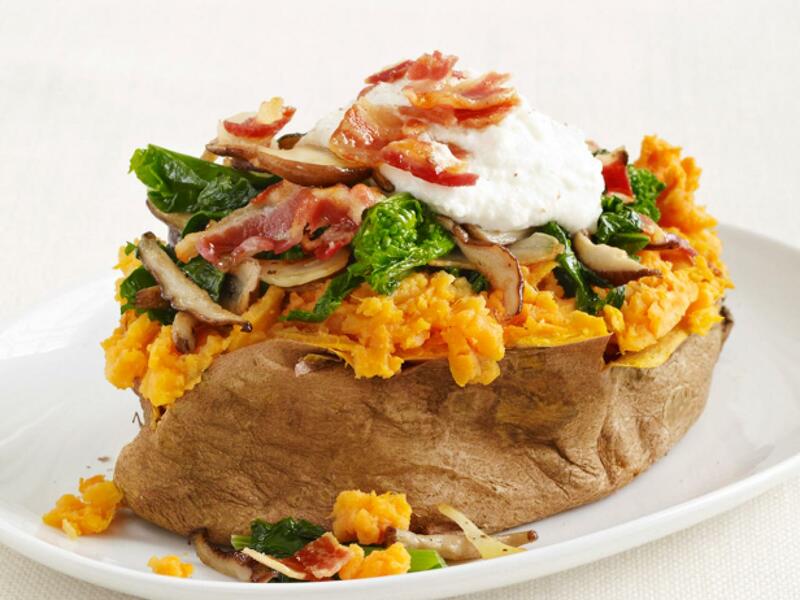 Here Food Network Magazine beefs up a golden sweet potato and turns it into the main event by piling on the hearty fillings, including earthy mushrooms, a creamy two-cheese topping and a sprinkle of salty pancetta. By microwaving the potato instead of baking it, dinner can be ready in only 25 minutes. 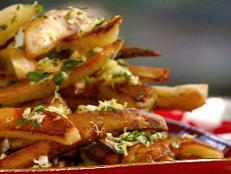 Golden brown and crispy on the outside with a tender potato texture inside, Guy Fieri's wow-worthy fries come together with the help of a two-part frying process: once to parcook the potatoes and a second time to turn them crispy. Smaller and skinnier than Idaho potatoes, new potatoes boast thin, waxy skins, so they don't need to be peeled before they're roasted in this satisfying herb-laced side dish. Follow Food Network Kitchen's lead and wait until the second part of cooking to add the garlic; this will ensure it doesn't burn in the oven. True to their reputation, mashed potatoes need little beyond butter and salt to make them memorable, but Ina Garten has found the secret to transforming the everyday spuds. Her trick? Sour cream, which promises plenty of richness and subtle tang. Tyler Florence takes a traditional potato gratin and turns it into a next-level casserole with one key ingredient: fresh thyme. Look to the herb to brighten up this top-rated garlic-scented dish. 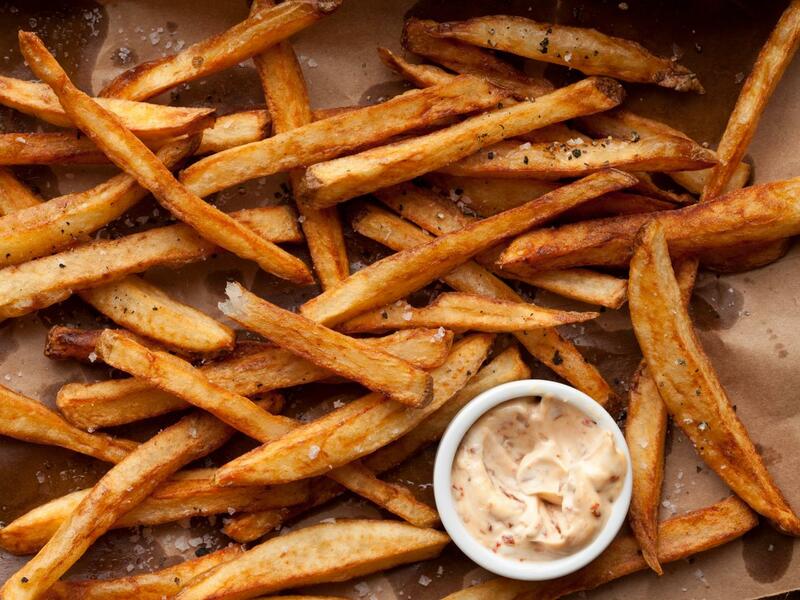 There’s no need to shy away from potatoes. They’re high in fiber, protein, iron and even vitamin C – and pretty darn tasty too! Since they’re so easy to work with, we could probably give you 50 healthy recipes – let’s start with 5 of our favorite ways to enjoy them. 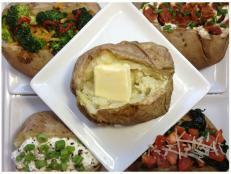 A baked potato is a Food Network essential for dinner. We got creative by using leftovers in our kitchen refrigerator, and the final products were all relatively healthy, delicious and filling. Melissa d’Arabian professes her love for a holiday classic: mashed potatoes. She's sharing her secrets to ensuring mashed potato perfection every time and recipe ideas to try. 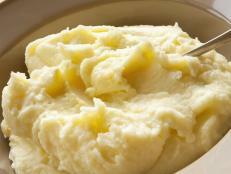 Food Network has tips, suggestions and easy recipes to make your Thanksgiving mashed potatoes better than ever. 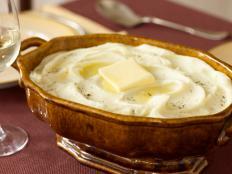 Potatoes, butter, milk and seasonings. 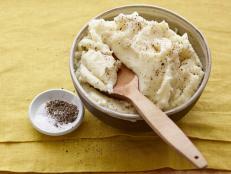 That's all it takes to turn out your most-impressive mashed potatoes yet this Thanksgiving. 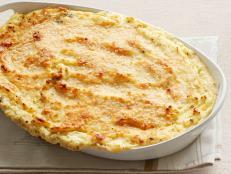 Get the recipe for Ina Garten's Goat Cheese Mashed Potatoes, a make-ahead Thanksgiving side dish from Food Network Magazine. 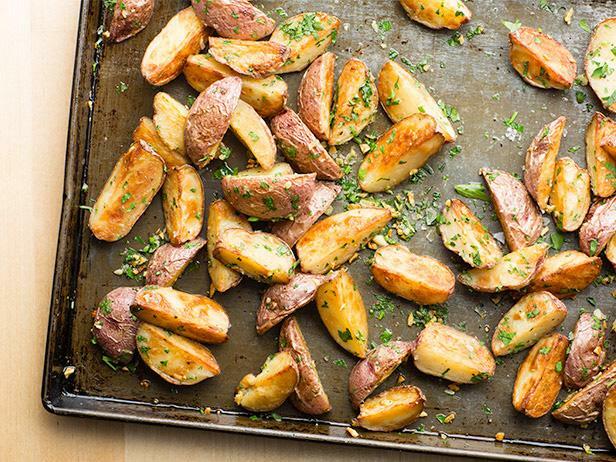 Food Network fans pinned Ina's fuss-free recipe for garlic-laced potatoes more than anything else this week, and for good reason; it's an easy side dish you can count on. 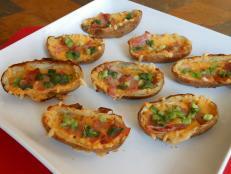 Did you know that a single restaurant serving of potato skins contains 1270 calories? Robin shows you how to slim down this typically unhealthy recipe while still packing in flavor. 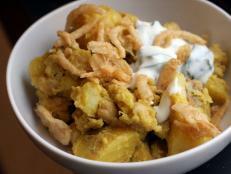 Make a homemade, vegetarian curry for lunch, it's low-cost, healthy and filling.